Hello everyone and welcome to the first Pokemon Center Report since my return to Tokyo! 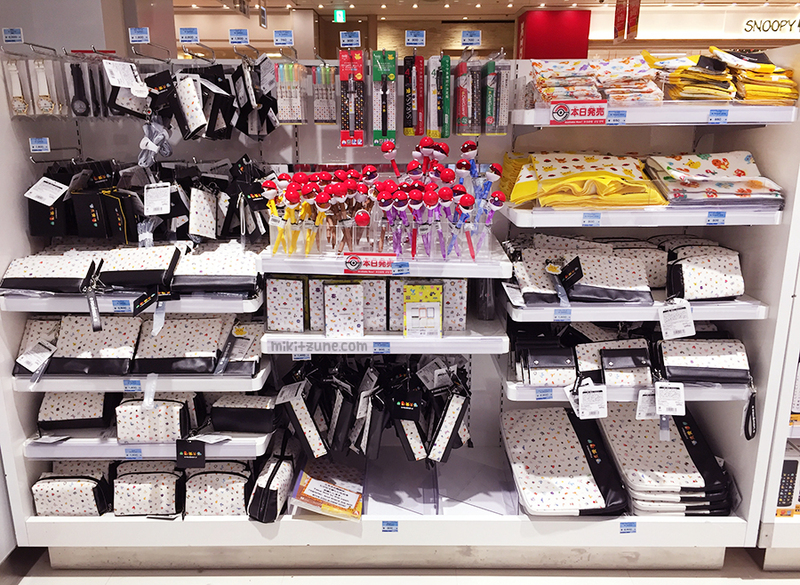 The Dot Sprite promotion focused on the original 151 Pokemon from the Kanto region and featured mainly stationary related items plus bags, pouches, and other miscellaneous stuff. The majority of items have these really cute, simple, and stylish pattern of the 151 Pokemon in dot sprite form. More neat stuff included a small tin with two types of Pokemon themed paper clips (pokeball shaped or Pikachu shaped), a sticker collection, sticky notes, and a wide variety of multi-colored pens and pencils. 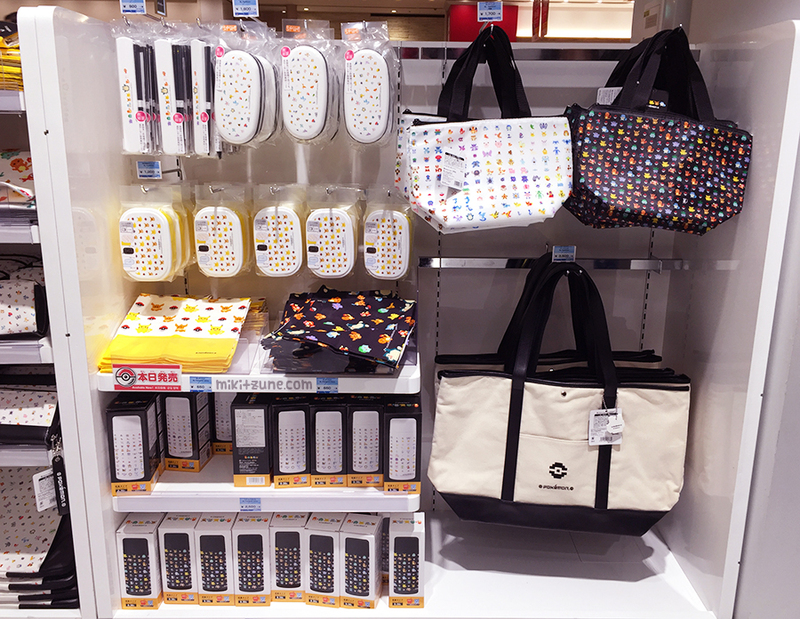 There was also an entire section devoted to lunch related merchandise. This included mini lunch bags, bento boxes, chopsticks, tupperware sets, and various handkerchiefs and smaller sized towels. More neat stuff – watches! Keep track of the time and look cool. What is a Pokemon Center promotion without some sort of blind packaged merchandise? 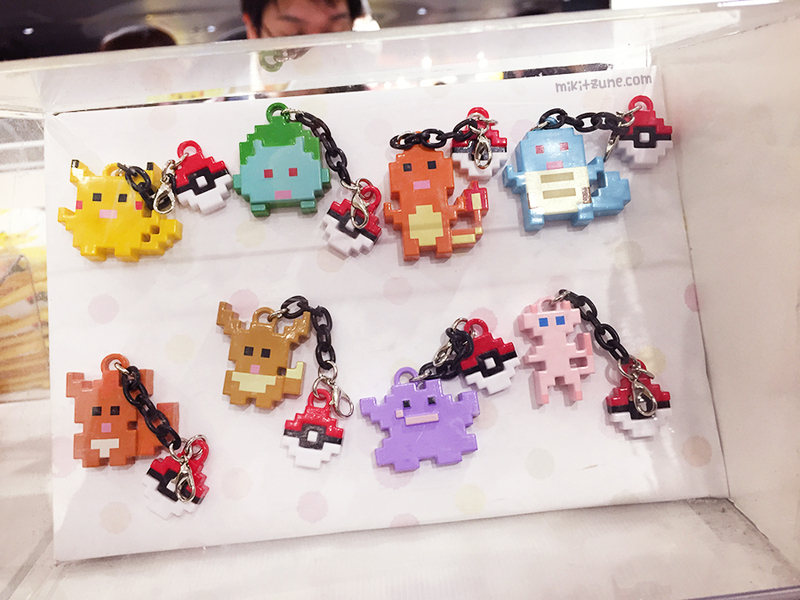 This release featured dot sprite charms in 10 different patterns: Pikachu, Bulbasaur, Charmander, Squirtle, Eevee, Ditto, Vulpix, and Mew. Along with everything else in the promo, there were also these cute pens. Labeled “Action Pens”, each pen has a little Pokeball on the end you can open and close, with a little Pokemon inside. There were 5 action pens in total: Pikachu, Eevee, Gengar, Ditto, and Snorlax. I did not take a picture of all the accessories, since most were kind of boring, but I thought these rings were especially cute. I love Clefairy and Substitute Plush, so of course I had to snap a picture of these. And I love Mimikyu and Mew so I had to snap a picture of these! See something you like? Check out my Pick-Ups Page for a list of items w/ prices that I am currently offering pick-ups for!